Amazon continues to provide cord cutting parents with smart, clever shows for their kids. 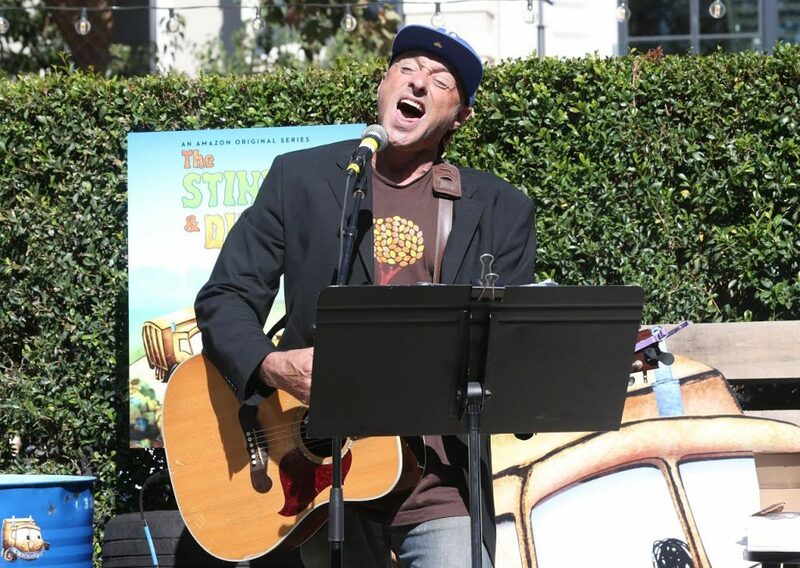 With The Stinky & Dirty Show, they wisely hired the smart and clever troubadour Dan Bern to write the songs. This isn’t the first time Bern has written songs for families, releasing 2 Feet Tall in 2009. The show is based on the “I Stink!” book series. The cartoon features the voice work of Whoopi Goldberg, Jane Lynch, Andy Richter, Joan Cusack and Wallace Shawn. Dadnabbit is proud to premiere the song “Let’s Get Dirty” and its crafty wordplay. 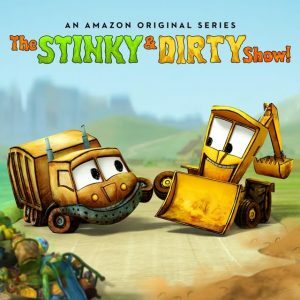 The Stinky & Dirty Show (Music from the Amazon Original Series) is available now for pre-order. The soundtrack will be available for streaming on Prime Music in the U.S., U.K., Germany, Austria and Japan. Prime members may listen to the entire album at no additional cost to their membership on compatible devices that support Amazon Music, including Amazon Echo, Fire devices, iPads, iPhones, Android devices, Sonos Players, the Web and more—songs can also be downloaded for offline listening on mobile devices.The soundtrack will also be available for all customers to purchase and download in MP3 format in the US, UK, Germany, Austria, France, Switzerland, Italy, Spain and Japan. This entry was posted in Dadnabbit, Dads Writing About Kindie Culture, Featured, Uncategorized and tagged Amazon Music, Dan Bern, The Dirty & Stinky Show on August 31, 2016 by Dan Walsh.